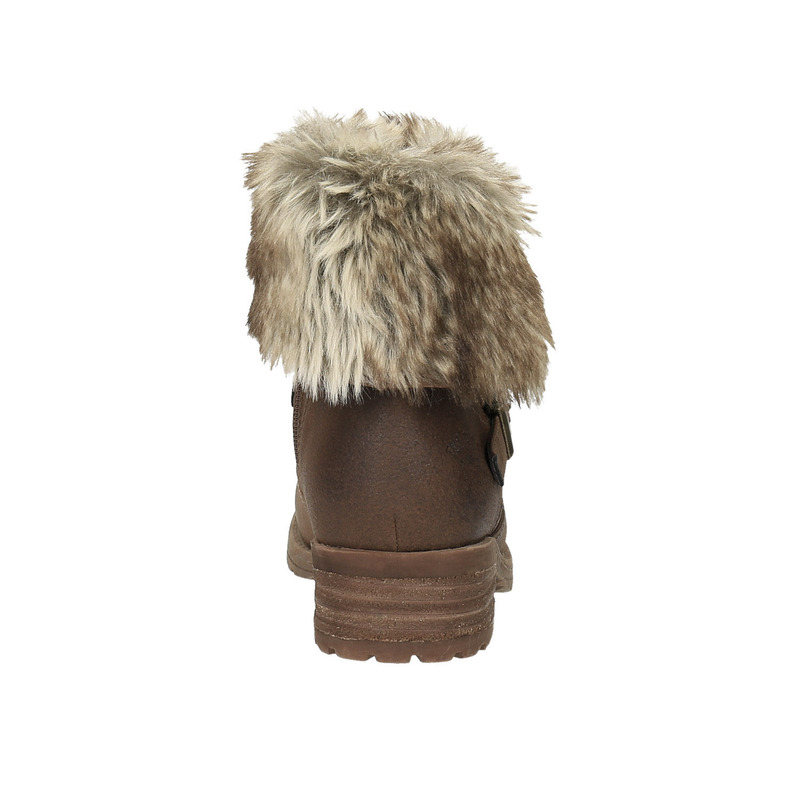 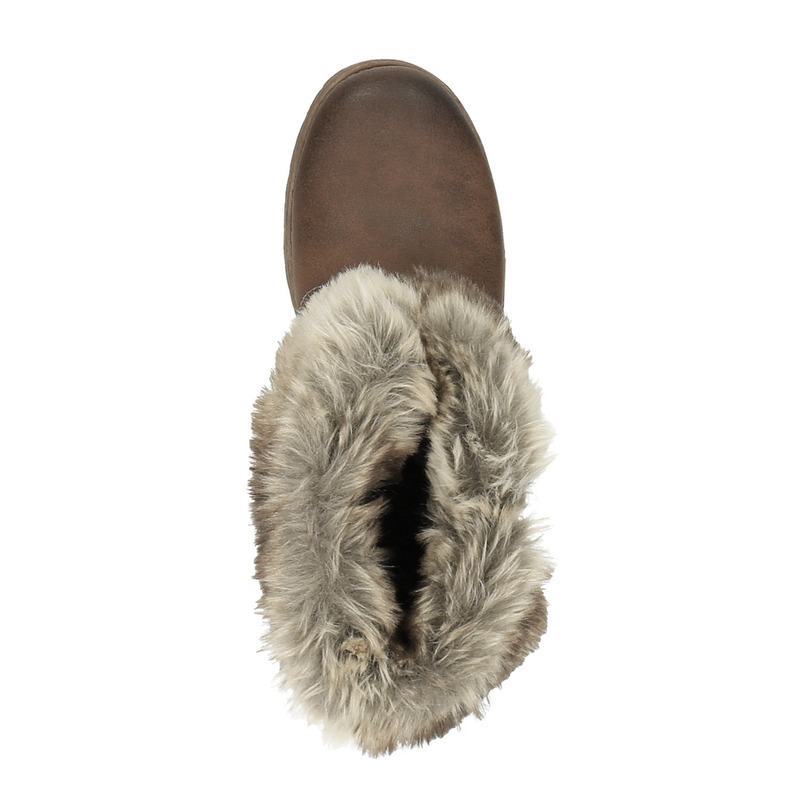 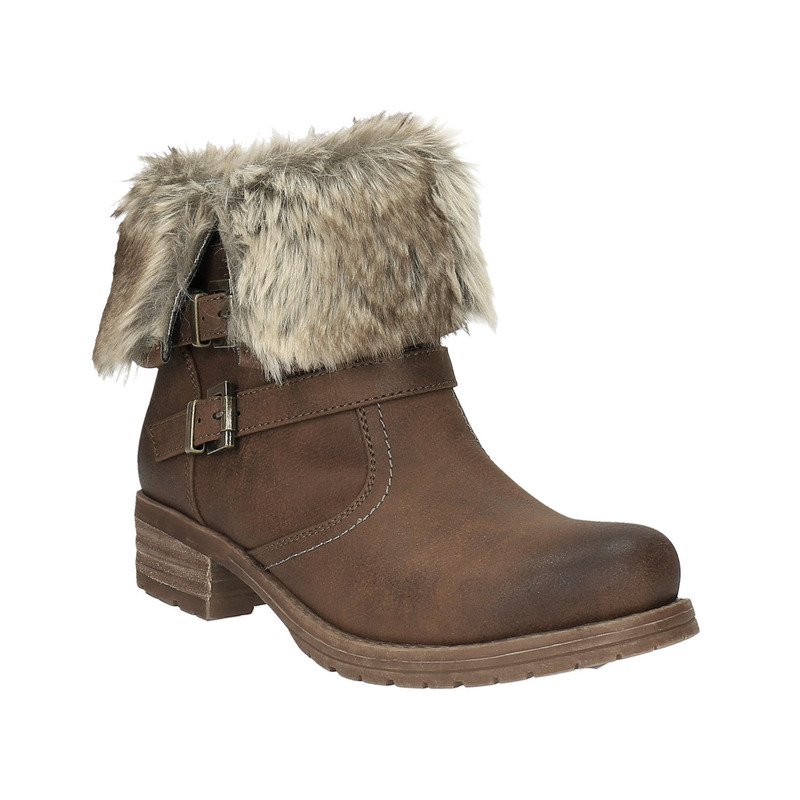 These ladies’ ankle boots have a wide artificial fur collar to perfectly highlight your winter look. 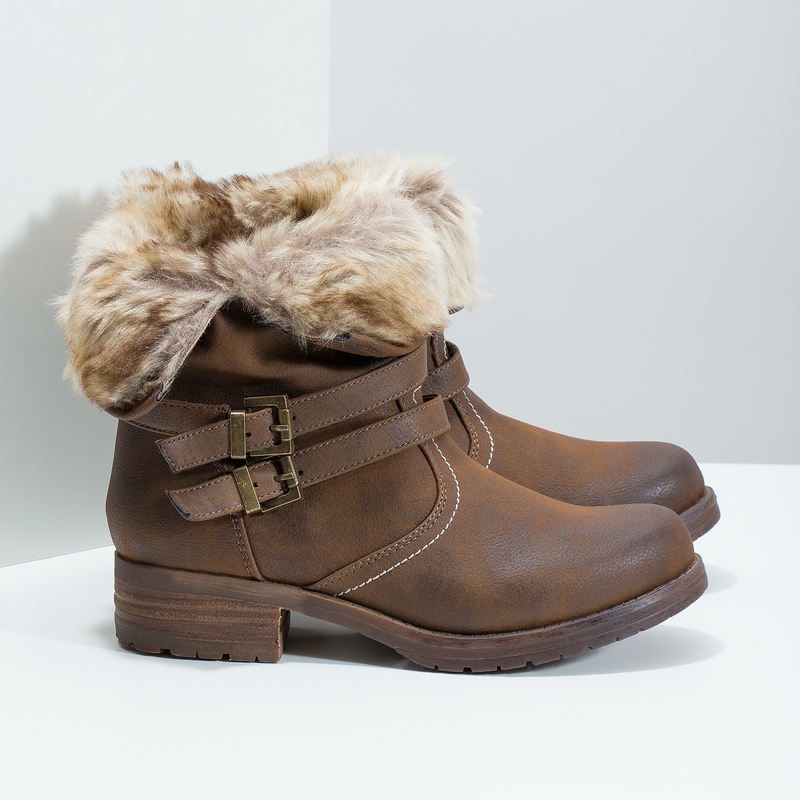 The thick patterned sole is ideal for the cold weather. 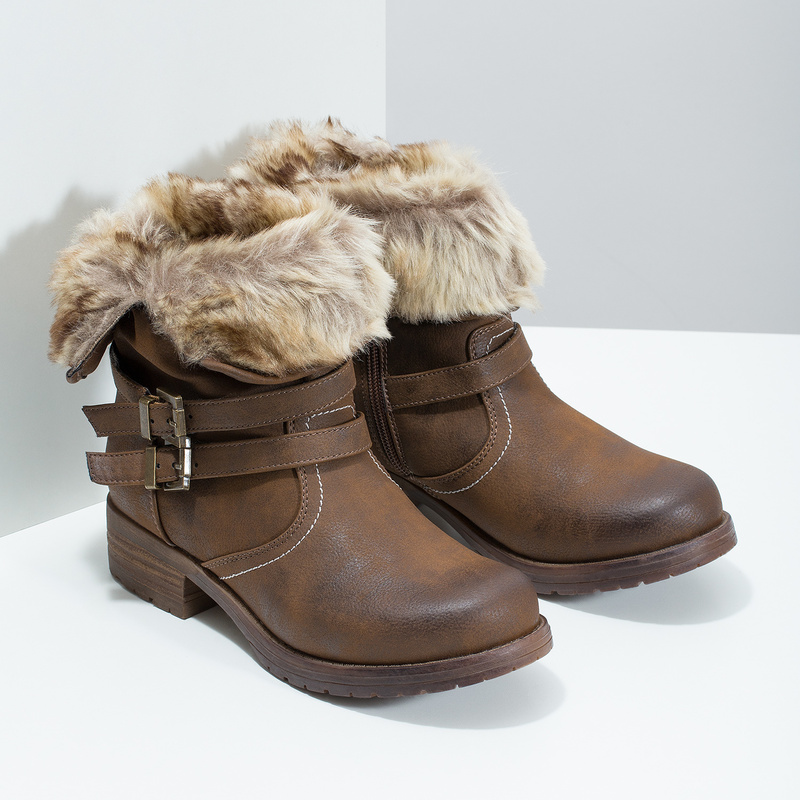 Around the ankle there are two straps ending in metal buckles at the sides. Wear with skinny jeans and a quilted bomber jacket.